With Friday the 13th falling so deliciously close to Halloween this year, you can expect an added dose of horror coming your way this weekend. 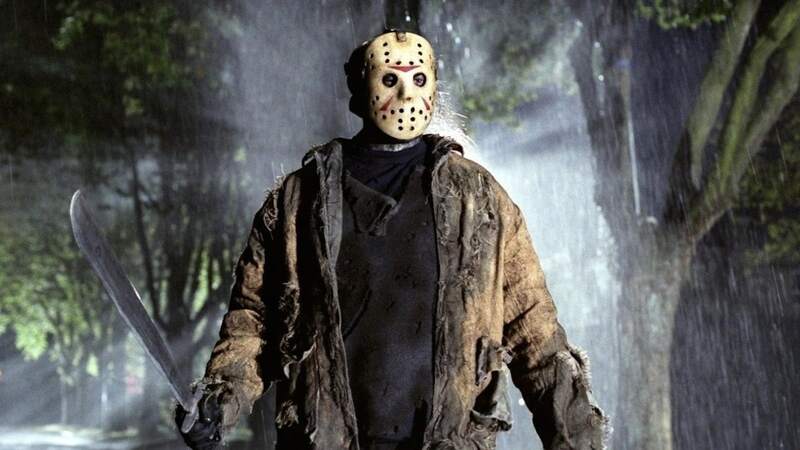 The last time Friday the 13th fell in October was back in 2006, over a decade ago, and some eery things did occur. New York issued a state of emergency in Buffalo after heavy snowfall caused 400,000 people to lose power and schools to close. Even scarier, the Democratic Republic of Congo had an outbreak of the pneumonic plague, killing over 100 people and infecting hundreds more according to The People History. Moral of the story? Maybe stay inside. Curl up with a nice glass of wine and watch something terrifying on your TV screen instead of risking the unlucky day. Look below to get a sneak peek at all the spooky delights coming to a television and theater near you. The hit podcast is coming to television. Remember the movie Adventures in Babysitting? Well, this is like the opposite of that, but still awesomely weird and creepy. Anthony Hopkins as the cannibal killer who haunts our nightmares. Hannibal airs at 8/7c on IFC. The Hannibal origin story starring Gaspard Ulliel. Airs on IFC following Hannibal. The 2009 remake of the classic starring Jared Padalecki and Danielle Panabaker. Catch it on Cinemax at 6:35/5:35c. A family-friendly addition for your spooky pleasure. Airing on Nickelodeon at 7/6c. So bad it’s good. Snoop Dogg’s Hood of Horror is a cult classic you can watch on Chiller at 9/8c. Mindhunter is a new thriller television series coming to Netflix starring Jonathan Groff. A vampire flick for the ages with thrills, gore and plenty of action starring Wesley Snipes. Watch it at 6:30c on Syfy. So far, the reviews for Happy Death Day have been less than stellar, but some say it’s worth the watch if you’re looking to kill an afternoon. You be the judge. This movie has Sam from Game of Thrones in it, so naturally, it’s a must see.